For most, the thought of travelling in Business Class or staying in luxurious hotel rooms may seem completely out of the question due to their cost. After all, with such high price tags, even the richest amongst us find it hard to do these things on regular basis. How then are your 'ordinary' friends doing it? Well, the magic of travel hacking is all about accessing those aspirational 'arm and a limb' premium travel experiences on the cheap, or even for free. This is all 'paid for' by frequent flyer miles and points. What's more, doing so without having to significantly change the way you already live your life. The key to mastering this strategy lies with the fundamental idea that you should never spend any money on anything without receiving a little back in the form of loyalty points. However, don't be mistaken - travel hacking is completely legal. What's happening here is that sweet spots are capitalised upon while downright horrible traps are avoided. In essence, travel hackers are always playing within the confines and parameters set up by banks, airlines and hotels. Most people understand frequent flyer miles and points in the traditional sense — that is, flying Economy flights for a few years hoping to accumulate enough for one free flight probably in Economy . However, this is a very slow process of accrual as most would already know. Therefore, travel hacking turns this on its head — you're earning more miles from credit cards than you would ever have from flying, and, in turn, redeeming them for multiple Business Class flights. If you're savvy and constantly on the lookout for good deals, we've also found Business Class flights priced comparably to Economy ones at times. Thus, with a little bit of strategy in how you go about you day to day life, one could conceivably extract a lot of value from using the right credit cards or using everyday tools and apps that fulfil tasks like booking a table at a restaurant. If almost free travel or getting free flights seem something you'd be interested in, you've come to the right place. Identifying the loopholes in the travel industry means that you’ll be able to fly for unimaginably low prices (think $600 for a roundtrip flight to London) or fly better on the cheap (think $1700 on Qatar Airways’ legendary Business class products). And that’s only for flight deals (paid in cash) . With miles and points, imagine getting those same premium travel experiences by paying only minimal amounts of money (we’re talking $60). If Singapore Airlines’ Suites or Air France’s La Premiere First Class seem completely out of reach, think again. Travel hacking might also mean plopping down onto a full King bed in a fancy King suite as opposed to a barebones single bed in a motel far away from the city center. As we've already mentioned, the trick to achieving these experiences does not come with any significant change in the way you live your life. You've just got to be a little bit smarter and more strategic about how you already do it. Some balk at the thought of calculating points and miles right down to the tee, dismissing the practice of ‘travel hacking’ to be too much of a hassle. And while fully maximising the benefits of travel hacking does call for considerable effort and work, that doesn’t mean that everyone has to go the extra mile. For those hard pressed for time, doing simple tasks like choosing the right credit card, or sticking to one airline alliance and hotel chain might mean the difference between a jetting off to a holiday in Business Class or at the back of the plane in coach. Most people don’t get any money back on their daily purchases because they’re spending through run of the mill cards. Or they’re choosing flights on the basis of them being the absolute cheapest available when the alternative (obviously, if it isn’t that much more costly) could have netted significant miles and points usable for another flight. If you’re below 21, click here. At the crux of the travel hacking experience lies the issue of points and miles - the bread and butter of travel hackers everywhere. Miles are awarded to travellers as a means to increase customer loyalty. By issuing miles (usually based on the distance travelled), programs like Singapore Airlines’ KrisFlyer and Cathay Pacific’s AsiaMiles hope to wrangle in loyal customers that continually choose these airlines on the basis of accruing miles. Fliers would then be able to use these miles to redeem flights operated by that particular airline. Whereas in the past miles were only given through flying, these days miles can be accrued via a host of activities like spending with a credit card or by buying retail products. Consequently, the growing commodification of airline miles has resulted in greater opportunities to accrue miles and subsequently redeem them for premium travel experiences. Okay, but what is a mile worth? As miles and points do not have any inherent value, the value of a mile is hence decided based on what you redeem it for - be it a flight, hotel room or a voucher. Consequently, travel hacking is primarily interested in maximising the value of each mile through strategic redemptions. These valuations are always denoted in cents per mile (cpm) in traditional travel hacking parlance. I’m just a normal person who travels 1 or 2 times a year, what are my options? Many are concerned about being unable to use their miles in time before they expire. If you’re the type of person who travels infrequently but would still like to extract value from these programs, all is not lost. For one, switching from cashback credit cards to miles credit cards allows you to accrue miles very quickly. Not only does this mean that you'e getting that much closer to free flights through everyday spending, it's also likely that you'll earn more in redemptions for miles than in cashback because cashback cards impose significant restrictions and limits on the cashback that you can earn where miles cards do not. Of course, this depends on your spending habits — if a different card suits your spending and lifestyle exactly, that's your choice to make. You could also choose a frequent flyer program that either does not have a miles expiration policy or at least one that is favourable to travellers. For example, KrisFlyer and Emirates Skywards miles expire 3 years from accrual while American Airlines’ AAdvantage miles do not expire as long as there is ‘account activity’ once every 18 months. Asiana Airlines’ miles don’t expire until a full 10 years have elapsed. Next, fly within your alliance as far as possible since miles flown on airlines can be earned amongst alliance partners as long as they are part of the same alliance as your ‘home airline’. Cool. However, I see many things that I can redeem my miles for, from flights to hotel stays and even bottles of wine. What’s the best option? It is usually the case that redeeming products from the company who owns the loyalty program gives the most value. This means redeeming KrisFlyer miles for flights on Singapore Airlines and AsiaMiles on flights with Cathay Pacific. Within the airline, one has the option of redeeming either a seat in Economy, Business or First Class. As a rule of thumb, one will gain the most value out of redemptions in premium cabins - Business and First. This is because the increase in the miles needed for these premium redemptions are proportionately less than the increase in the prices of these tickets. We can judge a value of a redemption based on how many miles it costs against the cash value of that redemption. In essence, we are giving up a certain amount of miles in order to get something we would have otherwise have to pay for in cash. Comparing the cost of each flight with the miles it takes to redeem it, we can therefore deduce how much 'value' we are getting per mile we are spending. However, your priorities and goals should be held above all else. If you’re not concerned about flying, one can also redeem miles for hotel stays and even retail goods. Naturally, this usually has 'poorer' face value compared to flight redemptions. Too much of a hassle. Convince me again why this is all worth it. As we're all hard pressed for time with all our commitments at work and in school, holidays represent a much needed escape from the hassles of everyday life. With a strategic use of miles and points, you don't have to break the bank when paying for the annual holiday even if you’re going in style. Coming back home after a long trip to the United States? Use your miles for an upgrade to Business Class. Saving for a honeymoon? How does using your miles for free flights aboard Singapore Airlines' Suites and a week long stay at the Waldorf-Astoria sound? Fancy a holiday in exotic (but notoriously expensive) South America? Redeem KrisFlyer miles on airline partners to avoid shelling out thousands of dollars on a crummy seat in Economy. You don’t need to be rich to be able to experience any of these things — you’ve just got to be smart about it. Nothing worth having comes easy. Once you go deeper into the world of earning miles, you'll soon realise that some miles are more equal than others. For example, people value Singapore Airlines KrisFlyer miles much more than say, United MileagePlus miles. Furthermore, flying Economy Class doesn't mean you're going to earn the same amount of miles for each flight. The amount you earn therefore depends on what type of Economy ticket you bought (fare class) and which airline you are flying from. For example, even though you might fly in Economy on United and SAS, crediting your earnings to KrisFlyer might mean you that would only net 25% from the United flight while earning 100% from the SAS flight. No two ‘miles’ are equal in this scenario. Because airlines have separate agreements with each other as to how many miles a passenger might earn on a given fare class, always check these things (if you’re reading this article they should already matter to you) before booking. Remember that the airline who determines your mileage accrual rates is the one that you are crediting to. The greatest levers of the travel hacking universe lie with credit cards. If you’re under 21, it might seem that all hope is lost. However, that's hardly the case — we’ll cover this later. As miles and points are all founded on the basis of encouraging customer loyalty, it makes sense to do exactly that. The most ideal loyalty program to choose depends on what you’re looking to achieve — elite status or ‘value for miles’ redemptions. Also, one should also take in account how easy it is to earn those requisite miles and points in the first place. Elite status gives you the most sought after aspects of travel — priority boarding and check in as well as lounge access no matter which class of travel you’re in. However, one can only earn elite status by actually flying or staying in a hotel room. Conversely, a program that maximises value through redemptions might not give good elite benefits (and vice versa), or the requirements to get those benefits are hard to meet in the first place. Earning miles and points through 'non-traditional means' like credit card spending are also important parts of the equation. For example, it is much easier to KrisFlyer miles if you're living in Singapore as opposed to earning them from Germany. Whilst it may seem daunting to stick to one frequent flyer program especially if the chosen airline is notorious for charging high prices, know that it isn’t nearly this strict. Selecting a frequent flyer program just means that you're choosing a currency. Often times, earning that currency can be done through a large variety of means. For example, one can earn KrisFlyer miles by flying on Thai Airways or Lufthansa because these carriers are all within the same alliance. As Singapore Airlines partners with other non Star Alliance carriers (eg. jetBlue and Alaska) as well, KrisFlyer members can also earn miles for travel with these partner carriers. Similarly, spending on certain credit cards in Singapore can allow you to earn KrisFlyer miles as well. Add to this the multiplicity of transfer partners like Chope and TapforMore, earning miles (which supplement the ones you already earn by flying) doesn’t seem like a very hard proposition at all. Things like the KrisFlyer Stopover trick and other similar sweet spots in frequent flyer programs allow you to get much more value from your miles that you would otherwise be used to. For example, judicious use of the KrisFlyer Stopover trick essentially allows you to pay about $160 to get a Business Class flight to places like Bangkok. Redeeming Alaska MileagePlan miles for flights on Japan Airlines between cities in Asia (eg. flying from KL to Singapore via Tokyo and adding a stopover in Tokyo for your week long holiday) will only cost about 25k miles. That'll cost 86k if you would want to do that on SQ. One can redeem short haul one way flights within Europe using only 8k United MileagePlus miles. Paid with cash, these flights can cost upwards of 300 Euros. The perennial problem of booking flights lies with whether to book direct or to book with online travel agents like Expedia. While there is 'rarely' a right answer to this, it is usually the case that the savings you get from booking with third parties are minute and hence not worth the risk. The days of showing up at the airport to get cheap last minute fares are also pretty much over as airlines become smarter about how they sell their tickets. Apart from well known ones like Expedia, many other sites might offer significant discounts — but they’re also pretty dodgy. Of course, if a particular vendor offers a massive discount, it's only natural to try one's luck — just keep in mind that any avenues for recourse or last minute problems might be limited. To avoid getting shocked by extra fees or extortionate cancellation policies, choose sites that you trust, or at least pick those that look somewhat reputable. To this end, airlines have been working very hard to ensure that the customers booking direct with the airline will get the best possible prices. Not only is this good for the customer, it is also good for the airlines as this cuts out the commission airlines have to pay to middlemen. Carriers like Singapore Airlines often publish their best rates directly on their website and sometimes have exclusive deals on their mobile apps. As sourcing for cheap flights is an arduous process, we have a team of fare experts that scour the internet for fare deals. We then curate (for free!) these great flight deals for the traveller based in Asia over at Travelcene Deals. High airfares are a perennial bugbear for most travellers especially if your country is considered a ‘premium market’ by airlines. This means that airlines routinely charge higher fares for flights originating in Singapore as compared to flights starting in Kuala Lumpur of Jakarta instead. Thankfully, there is yet another trick in the arsenal of the Singapore based traveller that could solve this conundrum — flight positioning. At its core, flight positioning entails taking a cheap flight to another airport and then taking another flight to your intended destination. For example, one could take a short hop to Kuala Lumpur and then a long-haul to London and still pay less for the whole journey compared to a direct Singapore - London itinerary. Based on our experience at scouring the web for cheap fares over at Travelcene Deals, we’ve decided to explain how flight positioning could potentially save you hundreds of dollars off a fare. As traffic from KUL, BKK and CGK are not considered 'premium', airlines are forced to discount fares from these cities. For example, we’ve found economy fares from Kuala Lumpur to Tokyo going for around $490 on ANA and SQ. 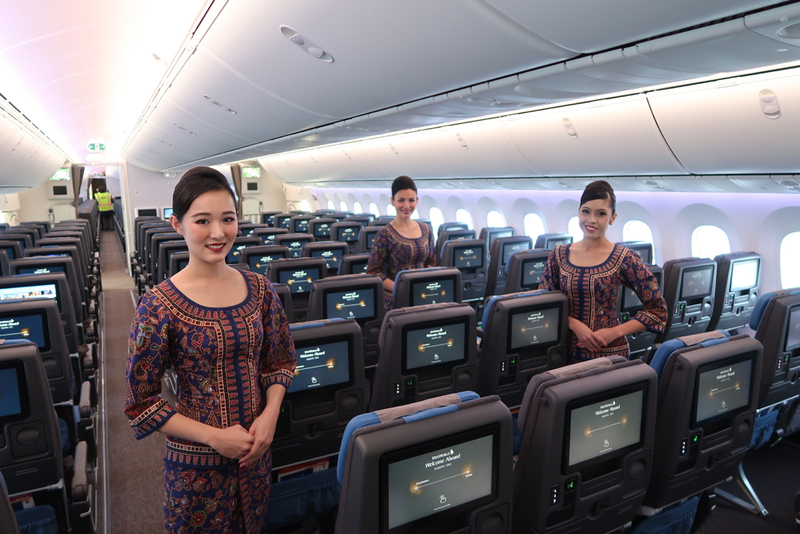 ANA also offers Premium Economy fares from KL at a flat $999. Conversely, these fares balloon up to $707 on Economy and $1900 for Premium Economy if you're flying out of Singapore. However, flying from Kuala Lumpur to Tokyo on Singapore Airlines necessarily means that you would transit in Singapore. Compared to flying direct from Singapore, you'd save $200 and even get a 'free' flight out of the itinerary in the process. That’s before considering that there are often cheap deals out of KL to Asian cities like Taipei for $680 or Hanoi for $360 in Business Class. These prices are so close to the standard Economy fares on flights from Singapore, making positioning a no brainer sometimes. If you’re so inclined (especially for really budget travellers), Singapore is linked to Kuala Lumpur International Airport directly through a coach service that departs quite regularly for about $40 roundtrip. On a budget airline, this would cost upwards of $85 at the very least. Note that in both scenarios, money is still being saved. Though on a less significant level, the same positioning strategy can be said for flights originating in Bangkok. As Bangkok is a major tourist and leisure destination, many airlines based in Europe (like S7 and Finnair) are able to operate more flights to and from the city. Hence, one tends to find cheap fares aplenty at Bangkok since the bulk of travel to and from the city is made by price sensitive leisure travellers. However, your best bet for scoring cheap flights to destinations further afield lies in Hong Kong. In the past, we’ve found flights to Vienna for $569, to New York for $647 and to Copenhagen in Premium Economy for $1218. A flight originating in Singapore (often times requiring a transit anyway) to these destinations would cost upwards of $1000 whilst a positioning flight would only bring the total itinerary up by $250 (and a total of below $800 dollars) if executed well. Some astute readers would notice that Hong Kong is another premium city in the same vein as Singapore — why would it be cheaper to fly out of Hong Kong? Well, due to it’s more strategic geographic position, Hong Kong is better connected to more destinations further away from Asia like New York and Toronto because airlines don’t necessarily need an ultra long range aircraft to serve Hong Kong. Due to this, the degree of competition for passengers on these routes between Hong Kong and North America/Europe is more intense, bringing prices down across the board. To illustrate this point, Singapore is currently only served by 3 direct flights to the US by United and Singapore Airlines. By contrast, Hong Kong has multiple daily flights to cities like New York, Chicago, Los Angeles, San Francisco, Vancouver and Toronto. In Hong Kong, carriers like Air Canada, Cathay Pacific, United, American and Delta all jostle for passengers. Instead of scoring cheaper flights, it is also possible to earn more miles on flights because a higher fare class from a city like KUL might cost the same as a cheaper fare class from a city like SIN. Hence, if maximising miles is your goal, positioning yourself to these airports will net you more miles as purchasing a higher fare class means a higher mileage accrual rate. Deliberately having a gap between your two flights also gives you the opportunity to explore the positioned city for a small side trip before your ‘real holiday’. While it’s usually easier to position to KL, Bangkok, Jakarta and Hong Kong are also good options to explore since they’re nearby. Some bolder travellers even consider options like Colombo, Beijing and Tokyo as several airlines tend to offer good deals from these cities. Taking these extra detours will obviously mean a longer itinerary (and travel times) due to layovers and potential delays. It also opens you up to the risk of losing your bags as the luggage transfer process isn’t exactly a perfected practice. If you’re the type of person that hates flying and just wants it to be over as soon as possible, flight positioning is probably not the right solution for you. However, if you enjoy visiting foreign cities and airports, trying ‘non-traditional’ airlines and enjoy the thrill of flying whilst still saving money/earning more miles, flight positioning is another tool that allows you to achieve all this at once. Some airlines get a bad rap amongst travellers for failing to meet expectations, or have flights that are constantly afflicted by delays. While those are perfectly logical reasons to avoid a particular airline, that shouldn’t discourage you to try others for fear of the unknown. In some cases, flying with an unfamiliar airline might result in a very pleasant experience. At the same time, these carriers can also offer very good flight deals. For example, Garuda Indonesia has recovered from a spate of accidents back in the 2000s to become one of the world's best airlines. After the EU banned the airline from operating within its territory citing safety lapses, Garuda Indonesia revolutionised its business through a comprehensive turnaround strategy affectionately called Quantum Leap. Since the revamp in 2014, Garuda has won multiple awards for its onboard products and is one of only 10 airlines in the world that are rated ‘5 Stars’ by Skytrax. Airlines oftentimes run airfare promotions for flights during months with weaker demand. Think about flights to Helsinki, Oslo or Berlin for less than $800 on a full service airline like Qatar Airways. If at all possible, one should plan holidays around these dates - not only can you get super cheap flights, you'll also be avoiding months with blistering heat or biting cold. Taken a step further, many travel hackers are also quick to spot so-called 'error fares' which arise from carriers making mistakes in the pricing of tickets. This may be because a currency conversion mechanism breaks down, or when a computer system fails to include certain fees and charges in the ticket price. In the short time that these are live, scoring these fares would mean that you’re getting flights for just a fraction of their usual price. While there are cases where such fares were not eventually honoured, many airlines decide to do so. However, don't bet on this - mistake or error fares from Singapore are pretty rare. Elite Status with an airline or hotel chain is one of the most sought after things in the entire world of travel. Not only does it grant you special perks and privileges, it also helps you get closer to redeeming those free flights and upgrades. Customers who hold the highest level of status often get treated to the finer things in life no matter whether they've booked tickets in Economy or First. That being said, though, it's obviously not easy to attain the highest levels of these programs, but even the lower tiers in elite status can offer some useful benefits. Elite Status with an airline can only be earned through flying or, in some limited cases, through certain tie-ups. Because most prominent airlines are part of an alliance, earnings status with one of these carriers means that you also earn status recognition amongst all of the alliance partners. Most airlines have four tiers of status thought the benefits of each tier varies by carrier. 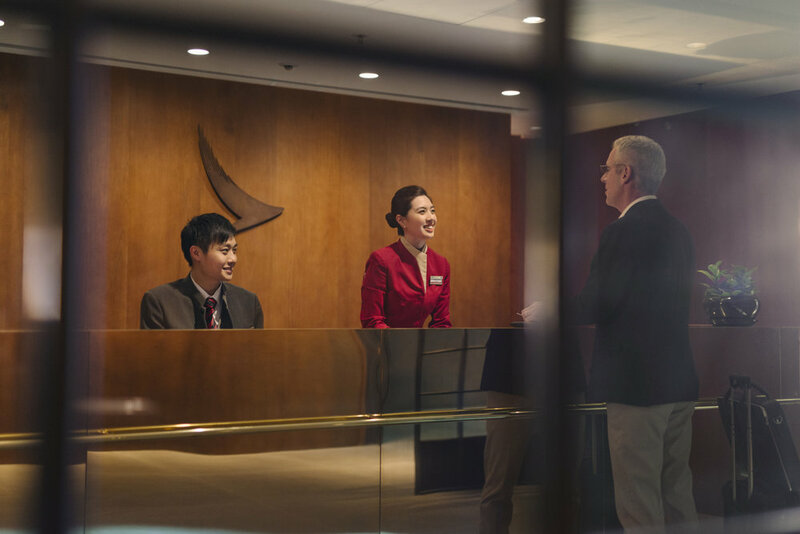 For example, Marco Polo Club Silver members get Cathay Pacific lounge access, Priority boarding and Priority check in whenever they’re flying with the airline. By contrast, KrisFlyer Elite Silver members only get priority airport standbys and waitlists. The qualifying criteria for each tier of elite status also differs between airlines. For example, the qualification period for elite status with Asiana is set at 2 years and status lasts for 2 years as well. KrisFlyer on the other hand, has a qualification period of a year and also allows members to hold status for a year. Choosing a particular frequent flyer program might also shut you out of certain experiences. For example, Singapore Airlines does not allow anyone other than its own KrisFlyer members using KrisFlyer miles to redeem premium cabin travel on its long haul flights. Furthermore, most Singapore based travellers can only earn miles with either Singapore Airlines KrisFlyer or Cathay Pacific AsiaMiles through most credit cards. Earning hotel status is a tad bit easier than earning airline status because of how the industry (and the competition) is structured. However, just like with the airlines, status can only be earned when there are physical stays in a hotel room or when direct hotel bookings (and spending) are involved. 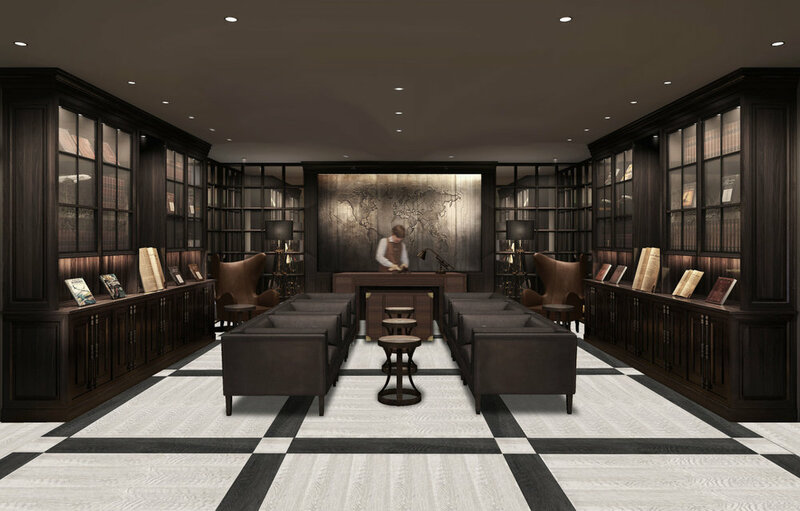 There are three main ways to earn status with chains like Hilton, SPG/Marriott, IHG and AccorHotels. Stays are defined as when a guest stays with the hotel regardless of how long the duration is. This means that one could conceivably stay in a hotel for one night, check out, and head to another chain hotel in the same city and stay a night there too. This counts as 2 stays. Nights are defined like what they are - the number of nights a guest stays in the hotel. But why make this distinction? Well, earning Hilton Gold status for example, requires 20 stays but 40 nights. The last type of earnings are with points, where each dollar/pound/euro spent will count towards your ‘elite points’ with the hotel. Hit a certain amount of points earned a year and you’ll get the elite benefits. Some credit cards can also give elite status with hotel chains as one of the perks of owning these cards but these are mainly limited to credit cards offered in the United States. What are the benefits of hotel elite status? Status matches are essentially a way for hotels or airlines to steal loyal customers away from a competitor by offering the same elite benefits on their own program. A status match is thus applicable for those who have existing status with an airline/hotel. To be eligible, you'll have to furnish proof of your status to the 'matching' airline/hotel. Once this is done, you'll probably be issued a status challenge as few airlines/hotels will offer you the elite status outright. Completing status challenges with hotel chains like Hilton and SPG are very simple - all of you have to do is complete the requisite number of hotel stays/nights with these chains within the stipulated time period. As of this moment, Hilton is running a status challenge that's open to anyone with a Visa Signature/Infinite. SPG's status challenge has no requirements on qualifying for the status challenge and is thus open to all. Considering that Hilton Gold is usually given at 20 stays/40 nights whilst the challenge on requires 2 stays/4 nights, completing a challenge can be quite lucrative. SPG’s requirement stands at a flat 9 nights for SPG Gold (usually 10 Stays/25 nights) and 18 nights for SPG Platinum (usually 25 Stays/50 nights), giving you status until March 2020. While status challenges are mainly the preserve of hotel chains, some airlines have them too. For example, Turkish Airlines offers elite status matches for a period of four months. To extend the status for a year, one has to fly one international sector with the airline. Fly another 15,000 status miles and your status is extended for an additional year. Though sites like The Points Guy and LoyaltyLobby focus heavily on status challenges, credit card deals and 'points hacks' available to Americans or Europeans, sometimes the promotions they cover may be open to travellers based in Asia too. Many have the misconception that airline miles can only be earned through flying. That could hardly be further from the truth — these days, more miles are given out as rewards for spending on credit cards than from actual flying. It is through these credit cards that travel hackers earn a huge part of their miles. Whenever you pay with a credit card, you earn points with the card provider for each dollar spent, which can be converted into miles. For simplicity's sake, this means that each dollar you spend can net you between 0.4 and 8 miles per dollar. Travel hackers are obviously concerned about maximising the number of miles they get from spending each dollar. Always swipe, tap or insert your card for purchases whenever you can. If not, you’re literally leaving value on the table. Banks also routinely offer sign up bonuses on their credit cards whenever you spend a given amount within a stipulated period of time. For these, make sure you time your big ticket purchases when you sign up for these credit cards in order to get ‘free’ points on the expenditure you would have incurred anyway. Even if you’re not earning any money (Singapore mandates that a $30k annual salary be earned before one can get a credit card), as long as you’re above 21, some credit cards allow for the pledging of a fixed deposit as collateral in lieu of the required income. All you have to do is deposit a certain sum with the bank, such as $10k (which still earns interest! ), that acts as a credit guarantee against your purchases. Credit cards also give some useful ancillary benefits by virtue of being a card carrying member. Cards like the DBS Altitude and Citi Premiermiles give 2 free visits to Priority Pass lounges per year whilst the OCBC Voyage, HSBC Visa Infinite and the Citi Prestige offer unlimited access albeit with a higher annual fee. These same ’unlimited’ cards also offer travel concierge services for when you’re stuck in a pinch whilst overseas or need help with planning for a holiday. Furthermore, many cards also offer complimentary travel insurance as long as you charge your travel bookings to the card in question. What If I'm Below 21? Being below the age of 21 doesn't mean that you can't be a travel hacker. Obviously, while you’re still able to earn miles whilst flying, the notion that you have no other avenues available to earn miles is simply untrue. Currently, the KrisFlyer UOB debit card and banking product is the only option on the market that allows those below 21 to earn miles on everyday spending. Unfortunately, this love to hate product has been maligned by many voices because of how anaemic it is to the other banking products available on the market. It is important to note, however, that many of these criticisms stem from its comparison to a full-fledged credit card. For those who cannot get a credit card — whether under 21 or unable to qualify for other reasons — the KrisFlyer UOB product is one of the best options and certainly the only palatable option for a budding travel hacker. Here’s why. Most cards offering significant rewards or cashback have restrictions regarding merchants, transaction type and minimum spending in order to quality. For example, the OCBC Frank Debit has an abysmal 1% rebate rate that is not only limited to ‘selected merchants’, but is also subject to a $400 minimum spend. The DBS Visa Debit offers a more generous 5% rebate but is limited to contactless transactions and also has a $400 minimum contactless spend, a monthly cash withdrawal limit, and a cashback cap of $50 a month. The less said about the DBS Safra or PAssion POSB cards the better, unless you want to earn cashback in the form of Safra Dollars or TapForMore points. The KrisFlyerUOB card offers miles instead of a direct cashback at a rate of about 0.4 - 1.4 miles per dollar, unless you have an extra $100k lying around to qualify for the next deposit tier. However, much like the other credit cards, there remains a fairly severe minimum spend of $500. A minimum balance of $3k is also required to earn the optimal 1.4 miles per dollar. Comparing cashback/rewards value alone, the KrisFlyerUOB card comes out only slightly ahead of other cards in the market, depending on one's spending habits. However, spending rebates aside, the KrisFlyerUOB card also includes very generous benefits such as complimentary seat selection, extra baggage allowance and priority boarding with Scoot, $10 Grab discounts off airport rides and ChangiWifi perks. As it is a co-branded product, Singapore Airlines is also obliged to offer card exclusive promotions for KrisFlyer UOB card holders ranging from Scoot discounts to double mileage accrual bonuses on SQ flights. Coupled with access to UOB's MightyFX multi-currency service (see our guide to optimizing cashless travel here), it's not hard to imagine a scenario where savings quickly add up. If you are a student who travels on a budget even once or twice a year, the KrisFlyerUOB card is easily one of the best options available within the admittedly meager pool of debit card offerings. As there are no age limits to use programs like Chope and Mileslife, students can use these programs as ancillary mileage earning opportunities. This is because Chope Dollars can be converted into KrisFlyer miles whilst dining spending through Mileslife (you earn miles based on every dollar spent at a restaurant) can prove to be very lucrative especially with the very frequent promotions the company has. For Chope, 400 Chope Dollars can be converted into 1,000 KrisFlyer miles (or $10-$30 Chope Vouchers) - you get 100 C$ for every Chope reservation made (obviously you have to turn up and eat). But the magic of Chope lies in the many promotions the company runs (read: Chope promo codes) as one can sometimes earn 200 or 400 C$ per reservation, supercharging your rate of earning. Currently, one can earn 400 C$ on two reservations with 'CHOPEKF400'. After this, an unlimited number of reservations earning 200 C$ can be achieved by using 'CHOPEKF'. Mileslife is a Singapore Airlines frequent flyer partner in that KrisFlyer members can earn miles for every dollar spent on dining through restaurants registered with the Mileslife platform. Since its inception, Mileslife (through its app) has also been aggressively pushing out promotions for users of the platform - early members once could have earned 12 miles per dollar. Sign up using the Mileslife promo code 'TRAVELCENE' and you'll get a sign up bonus of 1,000 miles when you spend your first $49. Full disclosure: we'll get some too. The concept of a mileage run lies in people taking flights not to get to a destination but solely for the miles they can earn. In the world of flying, there is a distinction between award and elite miles. The former can be used to redeem flights or upgrades whilst the latter is only used to track your level of loyalty with a particular airline. As flying does give both award and elite miles, travel hackers do these runs either to accrue award miles on the cheap or to earn elite miles in order to attain or retain status. At its core, mileage runs for award miles are essentially an arbitrage opportunity. If one values miles at 3 cents apiece, it would make sense that earning them at a cost of 2 cents literally means that you are 'getting paid' to fly. However, while this might have been easier to do in the past, airlines have since become very aggressive at closing these loopholes. For example, KrisFlyer members used to be able to earn 100% miles on all flights on United. This means that one could earn KrisFlyer Elite Gold just by taking a few transpacific flights on heavily discounted fares. However, this ‘loophole’ has been closed by Singapore Airlines recently as they have revised the mileage accrual rates of discount economy tickets on United down to 25%. That being said, many airlines often run promotions that offer double mileage accrual rates. With those in play, one could conceivably come out on top especially on heavily discounted economy/business class flights. While the days of mileage running for award miles may be drawing to a close, that’s certainly not the case for a certain breed of travellers going for elite status. Those who fly fairly often for business or pleasure may find themselves being 5 - 10k miles short of hitting those higher tiers of elite status before the window closes. Hence, it 'makes sense' for these travellers to fly a cheap flight solely to earn the miles necessary to attain status and the benefits that come along with it. Obviously, climbing up the membership tiers only makes sense if you're actually going to fly in the coming year, and will benefit from the perks. With all that we've said about travel hacking, it might seem like a really beneficial 'hobby' to pursue. However, many people often lose track of how much money they actually end up spending. This is because airlines and banks often give huge promotions (basically more miles for every dollar spent) in order to encourage spending. There’s also nothing wrong with starting slow and learning the ropes of the game before committing fully lest you end up making 'mistakes'. For example, one might misunderstand minimum spending requirements/misinterpret spending categories, or inadvertently pay an annual fee for nothing. The annual fees for most credit cards can usually be waived — always call well in advance of the due date. If the first person on the other end doesn’t oblige, hang up and call again. If multiple reps won’t budge, just cancel the card. Annual fees paid for nothing in return is just wasted money. However, note that we said you shouldn't pay annual feels for nothing in return. Some credit cards award miles when the annual fee is paid. For example, the DBS Altitude and Citi Premiermiles cards both essentially allow you to ‘buy miles’ via the annual fee at a cost of about 1.9 cents per mile. Considering that you can redeem these miles for a Business/First Class flight at a value of almost 6 cpm, this could be considered a wonderful arbitrage opportunity. Always remember that travel hacking is not about running around and completely changing your lifestyle just for a handful of extra miles. Also know that none of the strategies laid out in this guide are illegal, as we’re always playing within the confines of the game set out by airlines and hotels. Travel hacking is also more than just using the occasional promo code or simply ‘being flexible’ about travel plans. While we want to say that there are no steep learning curves or secrets to being good at maximising travel, it is true that you have to first put in the ‘work’ before you will see any results. Lastly, travel hacking is all about making choices that are right for you. Only you can determine which accrual and redemption options make the most sense according what your goals are. So go on — roll the dice. If you have any questions regarding the world of travel hacking or want to learn more, drop us an email or send us a message on Facebook. Share this with friends who you think are worth it —good friends don't keep good things to themselves. Love what you're reading? Follow us on Facebook to keep up with all of our articles and guides covering travel news and frequent flyer miles. We also write refreshing longform on the world's many cities and cultures. Check out our other in-depth travel guides! Since its founding as a small trading port in the 1600s, New York City has weathered many storms and trials to reach the position it occupies today. For a city with such glitz and glamor, it’s reason enough to consider it the greatest city on Earth. It’s a city that’s so great they had to name it twice. We illuminate the sweet spots of the KrisFlyer and PPS Club programs in order to help you maximise the value you get out of them. We’ve written a complete gate-to-gate guide on travelling with Singapore Airlines so that you can make the most out of your trip. Getting cheap flights and maximising your miles and points doesn’t have to be a confusing process - we teach you how. Other cities may have one defining Magnum opus, but for Tokyo, it's hard (even impossible) to single one out. But one thing's for sure - no matter your persuasion, Tokyo continues to enthral and lure visitors in year after year - hook, line, and sinker. Travelling for long periods of time often entails carrying around large wads of cash. However, with multi-currency accounts, those days are over. This millennium-old city has been the seat of power for many empires and states both past and present. Sitting at the intersection between China and South-East Asia, Hanoi boasts a vibrant food scene that's complemented by its people's love for culture and the arts.